The Mid 80's weren't known for muscle car's but there were a few exception's. GM was producing the G Body with Big Success with the Grand National and The SS Monte Carlo. Here is a prime example of Big Hair Muscle car. Slide In a Cassette and let this car take you back in time. 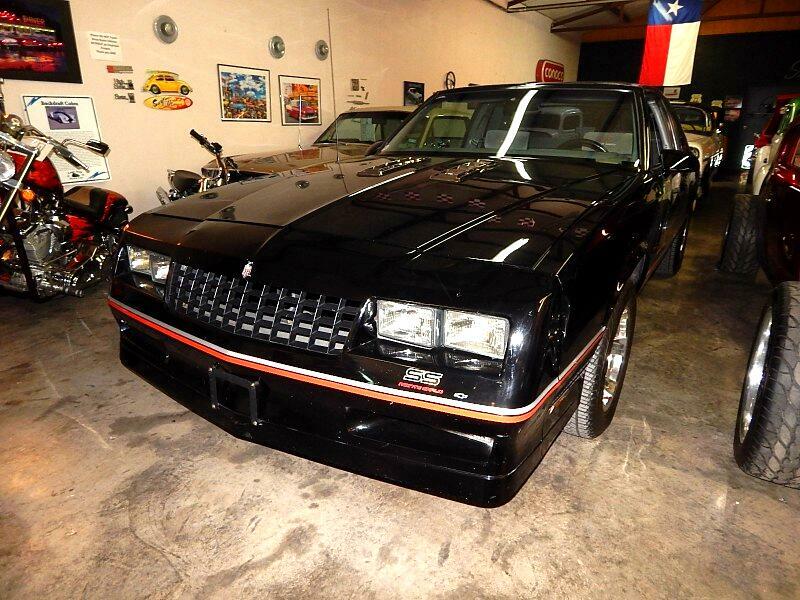 Lone Star Muscle cars is Proud To Present this super nice and all original SS. Powered By The 305 H.O. with some real cool chrome accent's coupled to a automatic transmission make this car cruise all night long. This is a T-Top model so you can enjoy those hot summer night's. All Number matching with super slick paint this car will turn heads. Some Of the options include Power Steering, Power Disc brakes AM/FM Cassette, T-Top's Power Option Group New wheels and tires. Tilt Steering Wheel full gauge package and so much more. Call today for more info or to set up a test drive. Message: Thought you might be interested in this 1986 Chevrolet Monte Carlo.